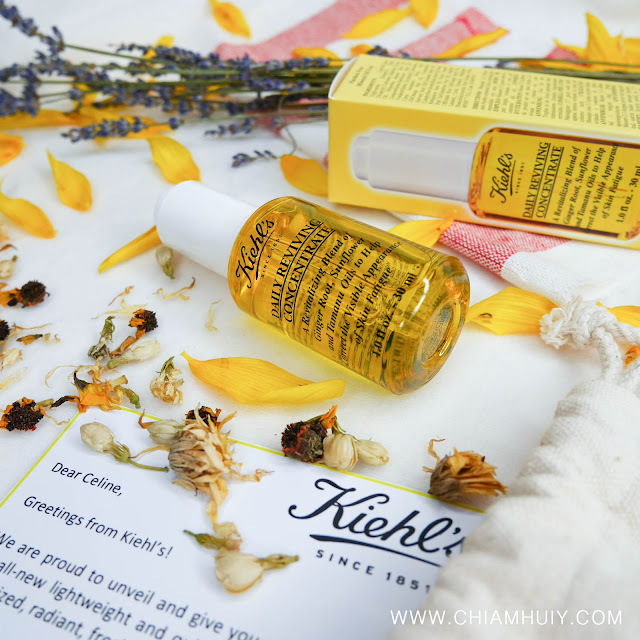 Because our skin are always exposed to harmful externalities like haze, sunlight UV rays and even radiation from the computer, this Daily Reviving Concentrate would help to keep your skin refreshed and moisturised since it’s essentially an oil serum made from natural ingredients. It actually feels like oil and may be greasy right upon application, but after it gets absorbed, it doesn't feel greasy anymore. 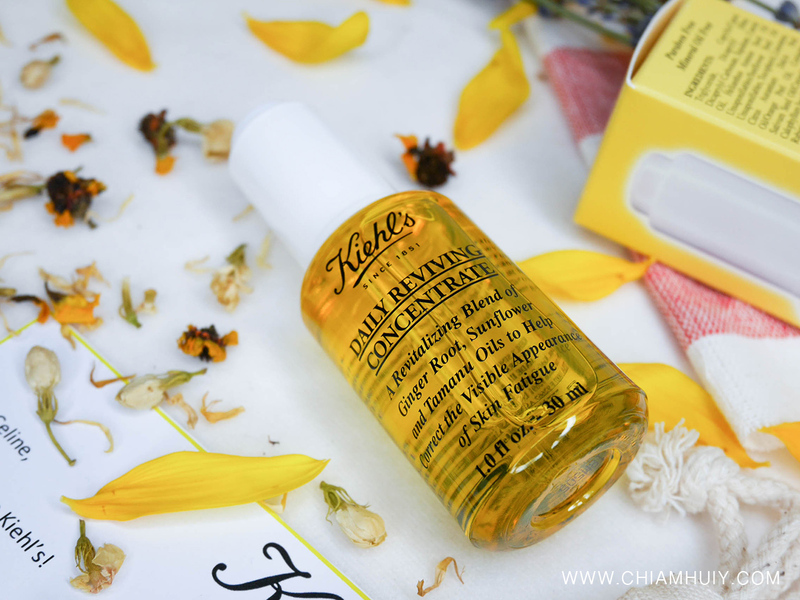 To my surprise, it’s incredibly good at moisturizing my face and keeping it refreshed all day! 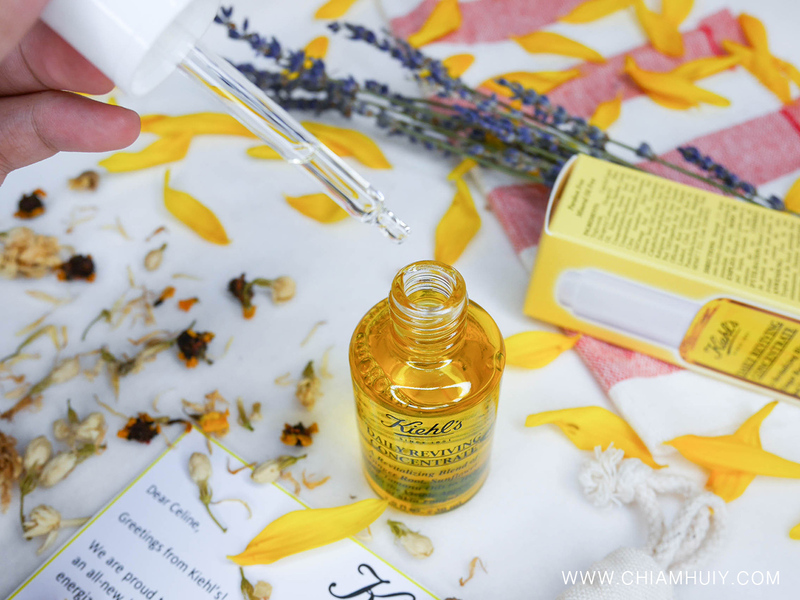 Directions: Apply 2 – 3 drops of the formula to clean skin after a serum and before your moisturizer. Suitable for all skin types, for all ages at all stages. 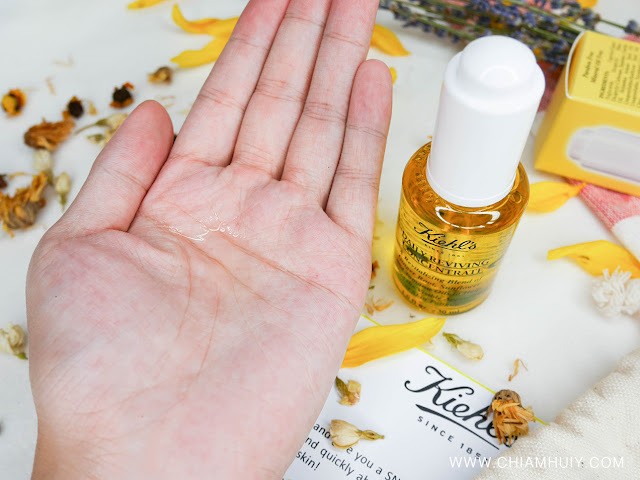 I use this almost everyday and I don’t exactly feel oily after a few hours although I am literally applying oil serum onto my face. Instead, this serum manages to keep my face pretty flawless and smooth after a long day out. I'll recommend this if you would like to maintain the moisture and sebum level of your skin. In the long run, this may possible increase the moisture level of your skin so that it doesn't have to secrete too much oil as the day passes by. For the campaign promoting the Kiehl's Daily Reviving Concentrate ($80/30ml), they have brought in Nicole Warne of Gary Pepper Girl. She has channeled four New York-inspired characters as they stay fresh for their favorite parts of the day. 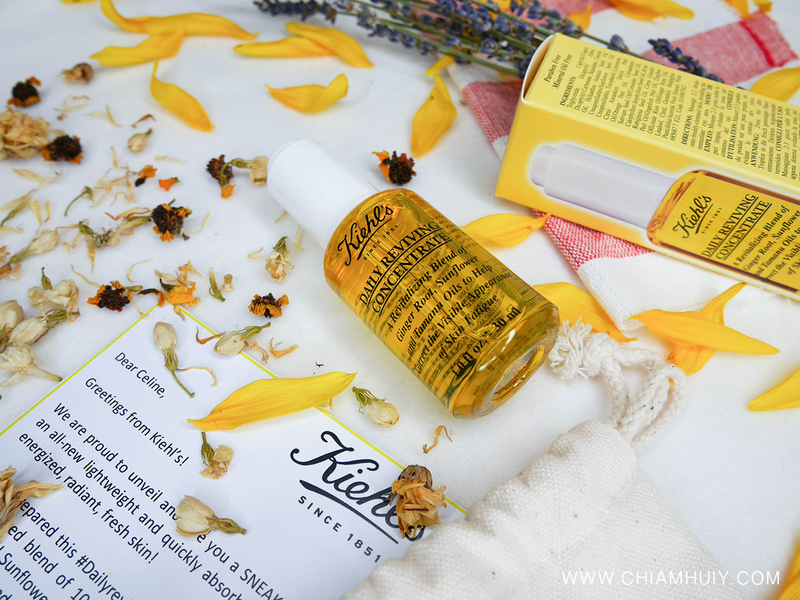 For more on this, you can hop over the khiel’s instagram (@KiehlsSG)!